Pottery tools are a necessity for making pottery. But it's hard to know which pottery tools you need - especially if you are just beginning a pottery course. 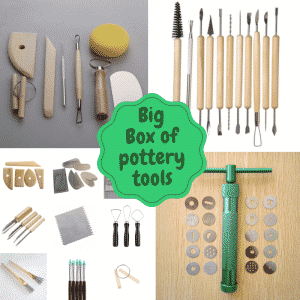 Well, don't worry - as below we have listed the 10 Best Pottery Tools you need if you are a beginner - starting to play with clay. It can be a daunting task, figuring out what pottery tools are best. There are so many different things you can buy, and all have different price ranges. We have selected the best pottery tools, for the best price, so you can get started with ceramics as quickly and cheaply as possible! Keep on reading to view our list of the 10 best pottery tools for beginners! This is a great little set for pottery beginners. Inside you have everything you need if just starting out: A wire cutter, a sponge, a steel kidney rib, a wire cutter, a wooden modelling tool, a metal needle tool, and finally a wooden potters rib. If you have decided that you want to continue with pottery - we recommend this professional kit. It includes 11 wooden tools and 3 metal pottery tools. Perfect for carving, sculpture, and jewelry making. It all comes in a zippered case, so you can take everything to pottery class. These are the best wire tools around! This set contains 6 of our most popular ribbon wire tools. 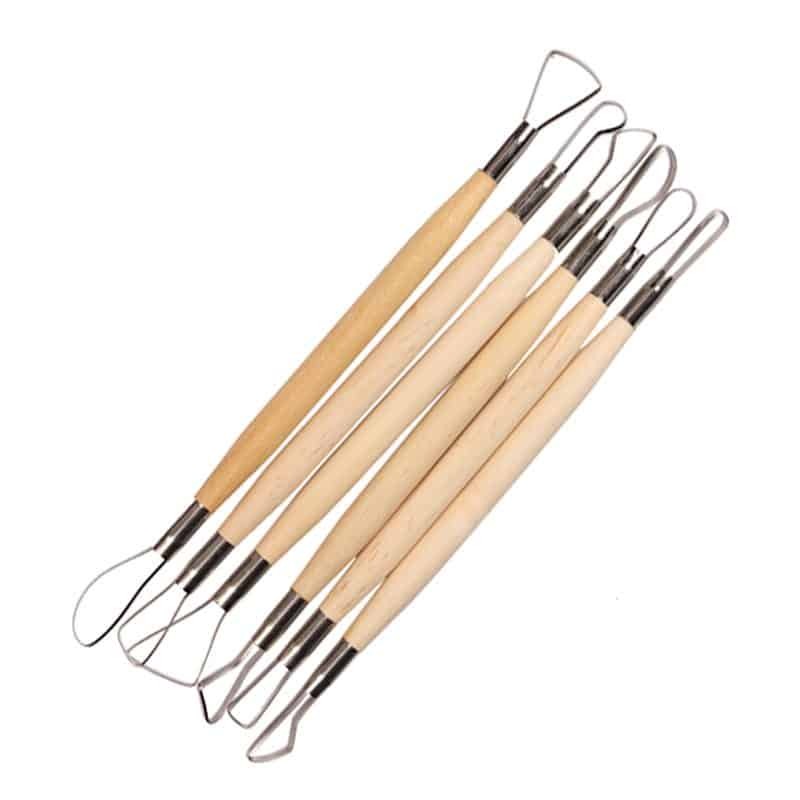 With .035 diameter steel wire, these 6 wire pottery tools are fantastic for light cutting, shaping, and clay removal. Perfect for when you want precision and fine detail in you work. Everyone knows what a Stanley knife is - but did you know the best ones are for Sugar Crafting? Oh yeah - Carbon steel blades. Easy to use and clean. This pottery tool is amazing at cutting delicate patterns and precise lines. You will never go back to a normal Stanley knife again! These pottery tools are very versatile. You can use them to cut, shape and texture your clay surfaces, for example, they are great for chattering your work on the potters wheel. Luxury Pottery Wire cutter: Made with the same plastic as the mudtool ribs, it gets more comfortable the more it is used. The wire is a 15" cable of stainless steel that cuts cleanly even through the toughest of clays. This set of pottery tools is great for carving, shaping, modeling, cutting and scraping. Made from wood + stainless steel, in a variety of shapes, they have soft handles for a comfortable feeling. Hard wearing metal Potter's wheel. Designed to allow the Potter to work with ease, the turntable diameter is 117mm. Weighs approx 1740gm. The wheel features a non-slip, non-scratch, full covered rubber base.